M7 Super Power Flow Carbon Induction Kit - Dezod Motorsports Inc - Home of the automotive performance enthusiast since 2002. 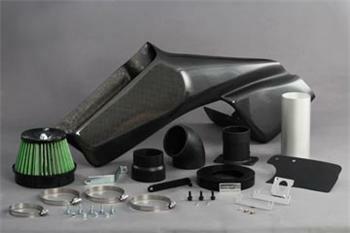 The M7 Super Power Flow Carbon Induction Kit provides excellent fitment from state of the art molding technique. The induction box is made of carbon fiber for high strength and lightweight performnace. The design of the induction box increases RAM pressure as vehicle increases speed and reduces intake air temperature by funneling fresh air. The M7 Super Power Flow Carbon Induction Kit adds a stylish look for your engine bay.